In a fast-changing and unpredictable world of business, many startup companies connect with business incubators to help them kick start their business in its early stages. Although business incubators are infamous for its negative effect on innovation and business leadership, they still bring a lot of benefits that startups should definitely consider. Generally speaking, startup companies start with a founder and eventually grow into bigger businesses through time, exhibiting promising profits. Some examples of startups include Dropbox, Xiaomi, Airbnb, Uber, and Quora. However, in their younger years, most startups lack the resources and financial capacity to support and fuel their business. They are usually bootstrapped, and this lack of support is one of the reasons why they eventually fail, or go bankrupt. Business Incubators add pillars that reliably support startups financially in their business expeditions. Running a startup company means that you have fewer employees, but it doesn’t mean having lesser employer responsibilities. Negligence to this often results to high employee turnover, which of course, affects the growth and efficiency of the company. Connecting with business incubators will help startup companies ease up on the paper work and legal requirements. Most business incubators will help you in handling administrative and HR work, including payroll. 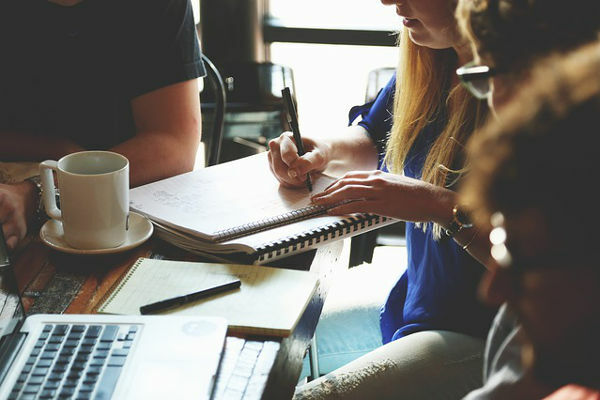 Business incubators can also help startups connect with PEOs or professional employment organizations like www.bradfordjacobs.com if they are willing to outsource some parts of their business to contractors or professionals abroad. They will help you with the HR management and accounting related needs of your outsourced employees. Attracting investors and clients is really hard for every business. That’s why business incubators provide pitching and demo day to help startups gather investors. Through this, startup companies are able to raise funds for their businesses’ needs. Business incubators refine and redefine startup pitches to the highest quality doing countless checking to their presentations or project models to meet the standards of the prospects (investors). This events can take place privately, attended with carefully selected audiences, and investors with different backgrounds and investing philosophies. Aside from private pitch meetings, most business incubators also host public events, where startups under their care are allowed to make presentations and showcase their products to gain investors. In addition, some business incubators do alumni homecomings where established startups meet-up to present their new projects, improvements, exchanging ideas and closing deals. Newly formed startups may also participate, giving them the chance to partner-up to other already recognized startups and join their network to attract angel investors. Other services offered by business incubators are financial assistance or seed funding until your company is stable and earning. The length of financial assistance will depend to the preferred time bracket of every business incubator before considering the project a fail or success. However, there are business incubators that only accept startups with promising project proposals. You need to apply first to gain their trust and eventually provide you a starting money. Doing business is a real bloody scene. Lots of Benjamin’s paper blood are being spilled just to build startup companies or small businesses. Office rents are also getting more expensive, that sometimes the whole capital is not enough to pay for it alone. On top of that, there are administrative expenses such as office supplies and legal fees that are troublesome if you’re in tight funding. Business incubators most of the time also have co-working spaces, with free-flowing coffee, that you can use for free. Moreover, some also offer to let you use their own office supplies, thereby freeing up your money for more important things. Startup founders are usually from a group of fresh graduates, young professionals, and the like. In most cases, they lack important skills in how to properly run a company and manage staffs. Business Incubators can provide management and marketing seminars for you and to your employees to hone your skills in doing business. They invite speakers who are experts in the field. Founders of other successful startups are also being invited to do talks or demonstrations to inspire and sparks ideas to the newbies. The concept of business incubators is still young in the business world. There are still a lot of untouched factors and uncertainties making it a minefield full of risk and danger. Before choosing a business incubator, it is imperative that you learn first the possible benefits and trade-offs that you have to do in order to gain their funding. Research and network with the right people. No matter how many people say no to you, don’t let that stop you from changing the world.